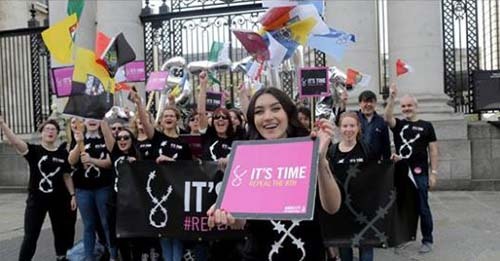 On May 26, 2018, the people of Ireland sent a powerful message to women and girls that their human rights and reproductive health matter in a historic referendum, with 66.4% votoing YES to ending the almost total constitutional ban on abortion. 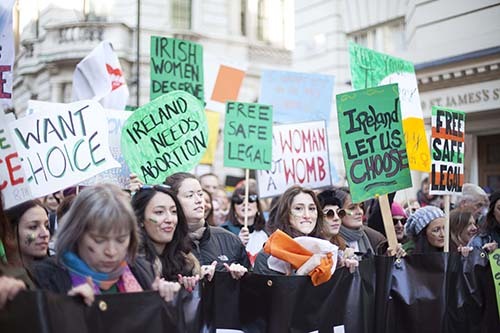 Amnesty International advocated for a human rights compliant abortion law in Ireland since 2014 as part of the My Body, My Rights global campaign. The campaign was directed at ending the control and criminalization of sexuality and reproduction around the world. “We are proud and honoured to have been part of this campaign in Ireland," said Colm O’Gorman, Executive Director of Amnesty International Ireland. "This referendum victory is the result of decades of campaigning by civil society groups and activists. The energy and commitment shown by the thousands of people who came together and worked for this result has been remarkable. But today’s Yes vote is also because women bravely spoke out and told their stories of the Eighth Amendment. Their experiences could not be denied. They made today possible, and this is their victory. This vote is also a significant recognition of women’s equality. Only when women are free to make decisions about their own bodies, health and lives, can they be truly equal. Ireland’s abortion ban has hit women and girls in poverty, with disabilities, migrant women hardest. They face the most difficulty as they are least able to travel to other countries, or access abortion pills illegally. Today’s result recognizes their experiences and rights too. Amnesty International campaigned for a YES vote in the referendum, and will continue to work for a human rights compliant legal and medical framework for access to abortion services in Ireland.